Welcome to the free public Wi-Fi service. 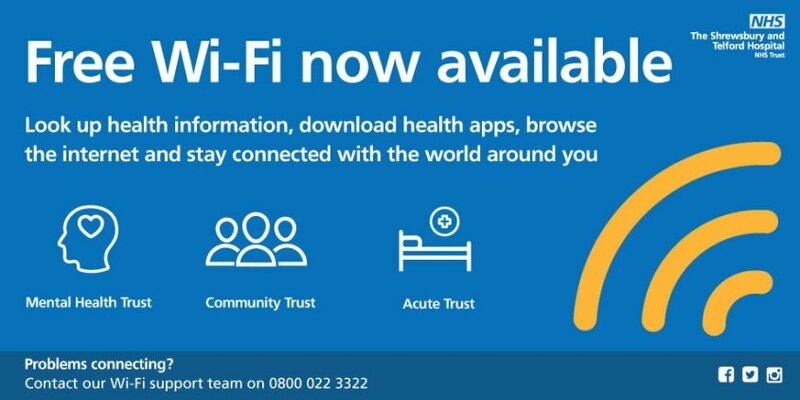 If you’re visiting one of our Trust sites then you can use our free NHS WiFi! Please note that some illegal sites will be blocked. The system is supported by BT, for support or information please phone 0800 022 3322. The project was funded by NHS Digital as part of the NHS Wi-Fi Programme. The objective is to provide a secure, stable and reliable Wi-Fi capability across all NHS settings. SaTH is one of the 115 Trusts that has been awarded funds to improve its service.